Standard RMA approval process period is two Business days (Subject to receive the required filled-in RMA form). An authorized RMA does not mean acceptance of the products, as this is subject to physical check and accepted by our technical department. The allotted RMA No. is valid for 30 days except HDD's from the date of issue and should be clearly mentioned on the outside of the package. For HDD's, RMA validity is 15 Days from the date of our approval. These products should be shipped Freight Prepaid, 'Door to Door' to the address given in our RMA form. The products returned must be same as the ones mentioned in the request form and the items which we approved. Customer attributed physical damage, electrical shock, Serial No. Missing and removal of warranty labels will void the warranty. Labels other than the labels found on the original product should be removed before shipping the goods to the Service Center. All authorized defective products returned to FDC, should be individually packed in anti-static bags and preferably in their original packing. Returns to FDC if not in compliance with the above mentioned terms and conditions, will be rejected and deemed out of warranty. All RMAs for refunds for components will be assessed at current dated prices and HDD's will be assessed on the life of the drive (From Invoice Date). RMA maximum clearing period from the date of receipt by Credit Note - 3 - 5 Business days. 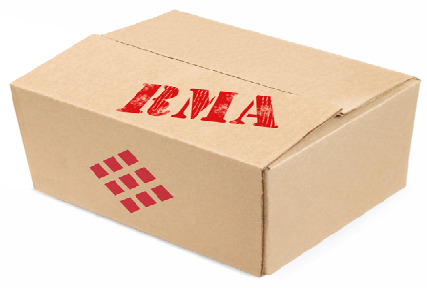 Any Physical Damaged items (No RMA receipt is issued) will be stored in our RMA for 15 Days from the date of our intimation and will be shipped back to the customer on their account if required or will be scrapped at our end. Minimum inspection charge of AED.100 will be levied in case the product returned is found not faulty. All the customers are requested to strictly follow FDC's RMA/DOA procedures to avoid any delay in processing the returns. DOA is a product found faulty within the period of three days from invoice date. - Marked cartons with DOA No. Send to RMA/DOA department of FDC as mentioned in the procedures.